We are happy to announce a second hotfix to Smart Mobile Studio (build 1.0.1.122). This hotfix is released due to a couple of important bugfixes (*). Simply uninstall your current version of Smart Mobile Studio and download and install the latest demo from this website. Smart Mobile currently ships with a rather spartan number of custom controls. Originally we were aiming at a rather minimal RTL and only the basic iOS widgets, this is how C# does it when it comes to iOS development. While we have the rounded iphone menu in the IDE, what is missing is a more versatile menu. 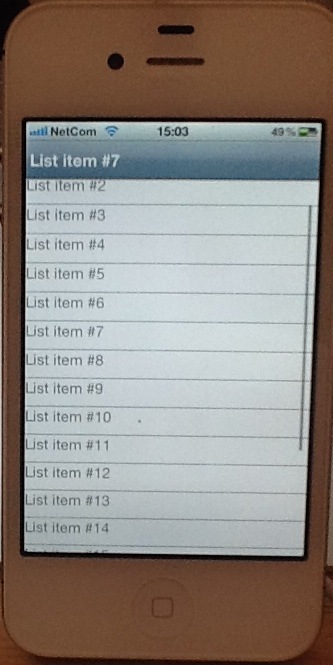 Both Android and iOS devices have scrollable list menus that are flat and designed to cover the iphone’s entire horizontal width. You can then move around it with one finger, and when you touch a single item without scrolling – that is considered a “click”. In this little article I’m going to create this list control to demonstrate how easy it is. First, let’s start with the baseclasses. We are going to keep it very simple, reducing the list to only two classes: one representing a list item – and another representing the actual list. Since iPhone lists have the capacity to include sub-controls, we are not going to cheat and wrap UL / LI tags, but use fully functional TW3CustomControls as list items. This will give us the freedom to not only style our list items – but to add buttons and whatever we want to each element. The FItems array is basically a list of the child items. This is actually a bit overkill, since TW3Component already support parent/child management – but it’s Friday so I just used an array to keep track of things. This is a fairly simple setup. We give our item a default color of white, and set the height of the listitem to 22 pixels. The setcaption() is actually one you should look out for. As you can see i use the innerHTML property to set the caption. This is fine for this example – but it will kill all child controls (!). For a proper title, create a child TW3Label and position it by overriding the resize() method. Ok, let’s look at the main scrolling control. The actual scrolling behavior is inherited from TW3ScrollControl which is a minimalistic, touch based scrollbox. Unlike the Delphi scrollbox – the smart version contains a sub-control called “content” which is what is actually moved. Everything here should be fairly straight forward. We hook the onTouchBegins and onTouchEnd events on all our list items. Why? Because we have to solve a little problem. Since our list is scrollable, that means we have to somehow distinguish between a scroll swipe (up or down) and an actual tap. To achieve this we set down a simple law: If the Y position of the list is in both events, then we consider that a tap (or selection). If you have moved your finger on the other hand, then the tap is ignored. The final procedure, namely resize, does two things: first, it calculates the total height of all the list items and size the content control accordingly. Then it loops through and positions the child elements. As you can see from the code, we catch the touch events and change the title of a header control we added to the form. This makes it quite easy to see what you are doing. You can download the project file here (zip archive) and play with it! The ever creative Christian W. Budde is working on a wrapper for the famous Box2d library for Smart Mobile Studio. 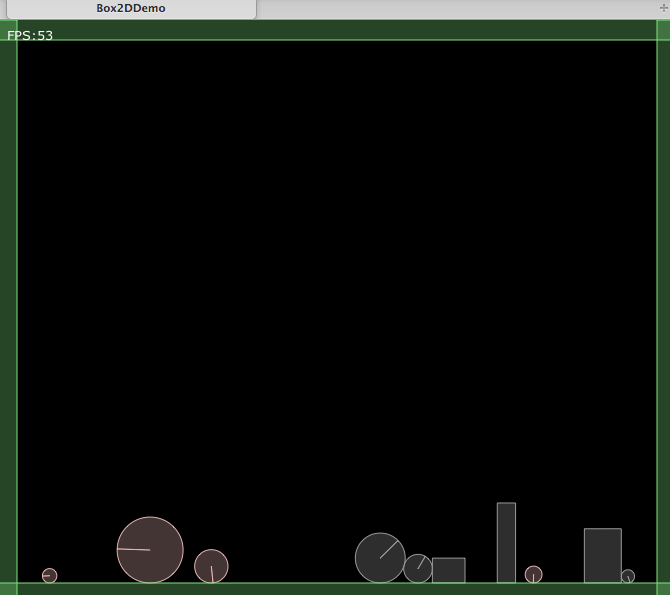 Box2D is an open source C++ engine for simulating rigid bodies in 2D. Box2D is developed by Erin Catto and has the zlib license. While the zlib license does not require acknowledgement, we encourage you to give credit to Box2D in your product. You can check out a live Smart compiled demo here!